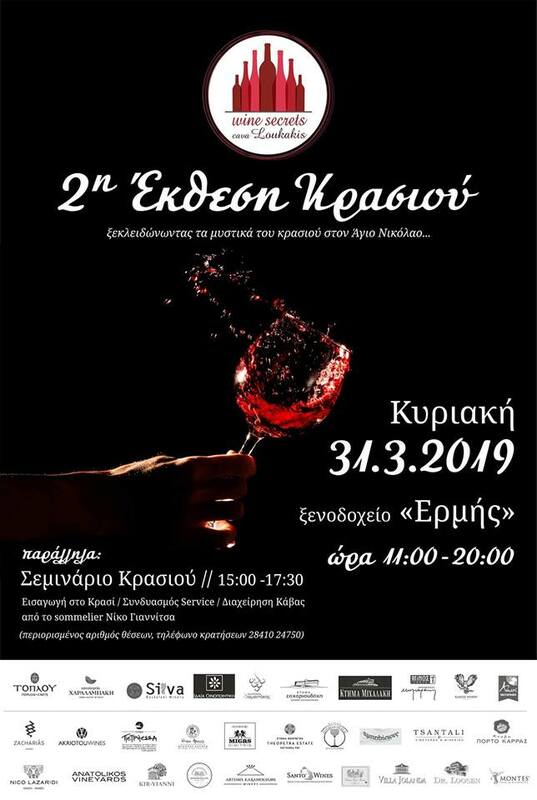 The wine fair Wine Secrets by Cava Loukakis was held for second year on Sunday, 31st March 2019 at Hermes Hotel. Visitors had the opportunity to taste wines from Greece and abroad. Diamantakis winery was there once again. At the same time, a seminar about wine was held by sommelier Niko Giannitsa.